Radically simplify and accelerate service creation, deployment, and support with our proven and integrated ITSM platform. Dramatically reduce requests and increase user satisfaction by empowering users to solve their own issues with our innovative self-help solution. Learn more about how EasyVista partners with your company to deliver on ITSM goals. We’re committed to providing resources that help you address all of your ITSM software needs. 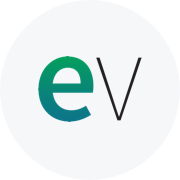 Stay up to date on the latest news and events for EasyVista. Cloud-based ITSM has never been in more demand. The benefits of using functions as a service are compelling. Done right, SaaS delivers scalability, cost efficiency, and performance. Seeing this, many vendors have responded by quickly offering SaaS versions of their products. Yet, buyer beware. Not all SaaS is created equal. Investing in the wrong SaaS-based solution can leave your IT organization exposed and cripple the lifeblood of IT including the service desk. Watch this webinar replay to learn the Top 10 Evaluation Criteria you must know in selecting a SaaS-based ITSM solution. Take the first step in transforming your service today.